After researching the staff of his new organization—Voice of San Diego (VOSD) -- Lamii learned he would be the only person of African descent and was nervous about how his coworkers would react to the color of his skin. Relieved, Lamii began to bond with his new coworkers but was having trouble finding housing for the remainder of his program. 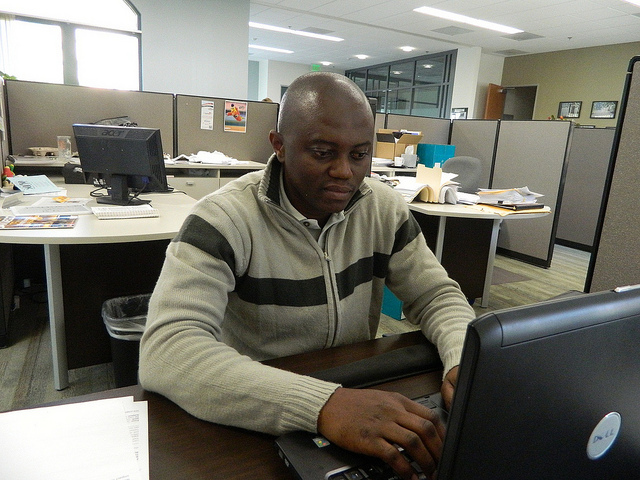 During his program, Lamii contributed critical work to his office while learning more about American media. “All my days were different,” says Lamii. “I would craft questions for the mayoral poll column I worked on and submit to the editor for approval. When approved, I send the questions to the 15 mayoral campaigns with a deadline at which I expected to hear back from them. On some days I went out to cover activities with other reporters at city hall or in the neighborhoods.